During the summer of 2015 Cahalane Bros reslated the existing building, recovered flat roofs, replaced existing windows and rooflights, and treated the external façade to improve waterproofing. 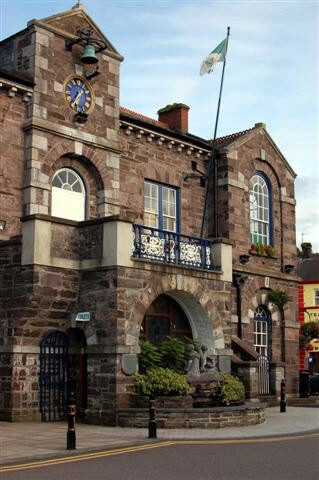 The site is located on the east of Marcoom's town square and the building itself was remained in full use by Cork County Council throughout the project. Cahalane Bros, provided the scaffolding and hoarding to carry out these works. The company used its own team of carpenters and plasterers to carry out the key aspects of the work. 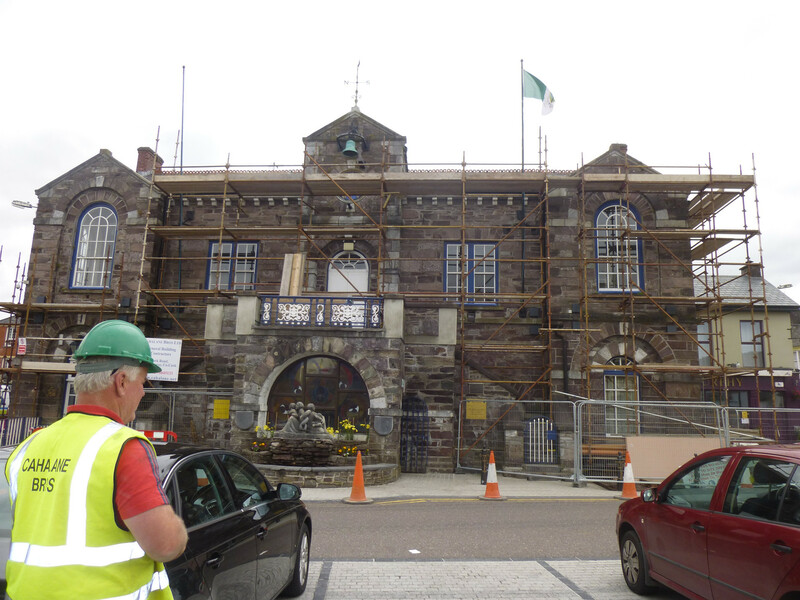 Scaffolding, hoarding and protection fans were carefully designed with consideration given to road traffic, pedestrians, building staff and members of the public using the building and toilet facilities. Not only had the works to be safe, but also presentable to limit the visual impact of the construction works on this popular tourist stop. Existing fibre slates were tested and found to be asbestos fibre slates. The slates were removed by trained and competent personnel and double wrapped for disposal by a licenced company. The replacement slates were a natural Spanish slate. 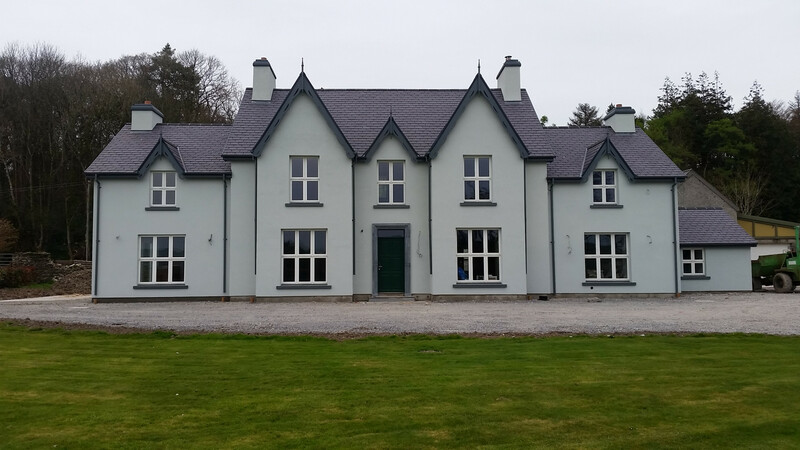 Cahalane Bros carpentry team on this project were selected because of their vast experience in using natural slate, and ability to cull slates into firsts, seconds and thirds and place these suitable. The roof had limestone barges, which were letting water into the building. A waterproofing detail was developed with the engineer which did not compromise the original look of the building. Cahalane Bros duly fulfilled their role as PSCS for this high risk project working closing with the nominated PSDP for the project.